We supply the full range of�Genuine�Shark visor models available in a selection of colours including Clear, Dark Smoke & Mirrored finish. 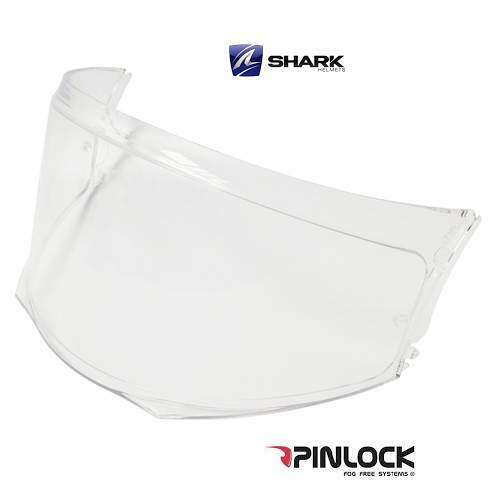 Some of the Shark range now also come 'Pinlock prepared' so that you can install the Pinlock anti-fog insert. You can check which visor fits your model of Shark Helmet below. The VZ code will be stamped on the top of your existing visor. This is the official replacement visor for the� Shark Evo-One 2� helmet. Designed to fit easily to your Shark helmet and provide the highest quality comfort and safety features that Shark Helmets are famous for. The Clear Max vision visor is now also available Pinlock ready to be used in conjunction with the New Max Vision� Pinlock� 70 �insert �in the Pinlock section. 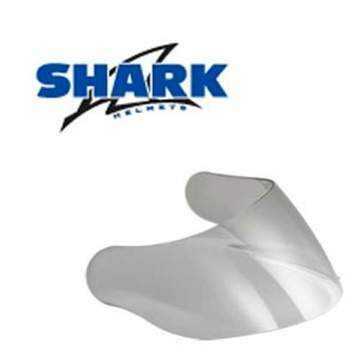 This is the official replacement visor for the� Shark Evo-One� helmet. Designed to fit easily to your Shark helmet and provide the highest quality comfort and safety features that Shark Helmets are famous for. The Clear Max vision visor is now also available Pinlock ready to be used in conjunction with the New Max Vision� Pinlock� 70 �insert �in the Pinlock section. Fits the following Shark Helmet models: S500, S500 Air, RSF3, RSF2i, RSF, RSF2, RSF2 Race. Fits the following Shark Helmet models: S600, S650, S700, S800, S900, Openline (Flip-Front Helmet). Fits the following Shark Helmet models: RSI, RSI Pro, Carbon, Alien, Dual Touch Hologram. VZ-80, or VZ-85 will be stamped at the top of your visor. This is the official Shark replacement helmet visor for the Evoline range of flip-front helmets. Designed to fit easily, these Shark visors come with all of the quality and safety features we have come to expect from Shark. The outer anti-fog visor is available in Clear, Light Smoke and� Dark Smoke . Available for fast dispatch and delivery now!